Now taking bookings from June 2017 onwards! 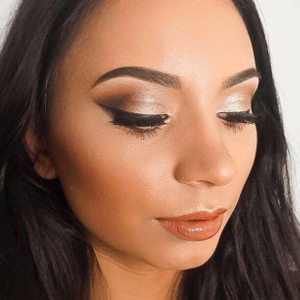 Have you spent months at college/university studying makeup, yet still don’t have the confidence to get out there into the industry? Have you spent hours watching YouTube videos trying to perfect your technique? Are you already a makeup artist and feel you’d benefit from some extra tips or tricks? 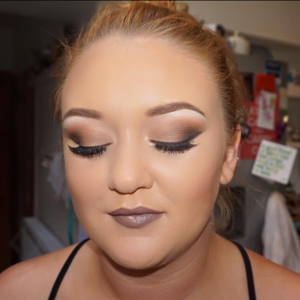 Are you a hairdresser or beauty therapist who would like to offer makeup services too? Courses at Sabrina Professional Makeup are for all skill levels. Whether this is your ultimate dream or just something you fancy dabbling in, these courses are fun, informative and interactive. Learning with a makeup artist one to one is the best way to practice and perfect makeup skills. You can absorb as much information and as many tips and tricks as you like. Sabrina is there to assist you to recreate the looks throughout. This is a 3 hour session, demonstrating one of two looks (see below) to a professional standard. During this course we will cover application techniques, colour selection, product selection, brushes and prep. 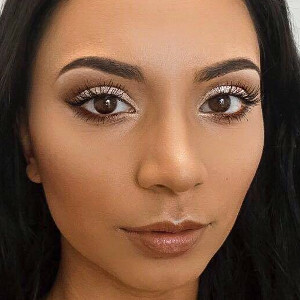 Once Sabrina has demonstrated the step by step process you will then have the opportunity to repeat the look on your model with help and guidance from Sabrina. You will also have time to take any notes, photographs and ask any questions. Sabrina will also provide a full product list of products used. This is a 3.5 hour session, demonstrating one of three looks (see below) to a professional standard. During this course, we will cover: application techniques, colour selection, product selection, brushes and prep. Once Sabrina has demonstrated the step by step process you will then have the opportunity to repeat the look on your model with help and guidance from Sabrina. You will also have time to take any notes, photographs and ask any questions. Sabrina will also provide a full product list of products used. Choose two looks from all 5 options. Choose four looks from all 5 options. Courses run from 9.30am-5pm with a 45 minute lunch break. Available on Monday and Tuesdays only. Full professional and high-end brand makeup kit and brush set will be provided to work with for all students. Please be advised that the courses practised and completed with Sabrina at The Studio are NOT accredited and you will NOT receive an industry recognised certificate such as a BTEC or DIPLOMA. 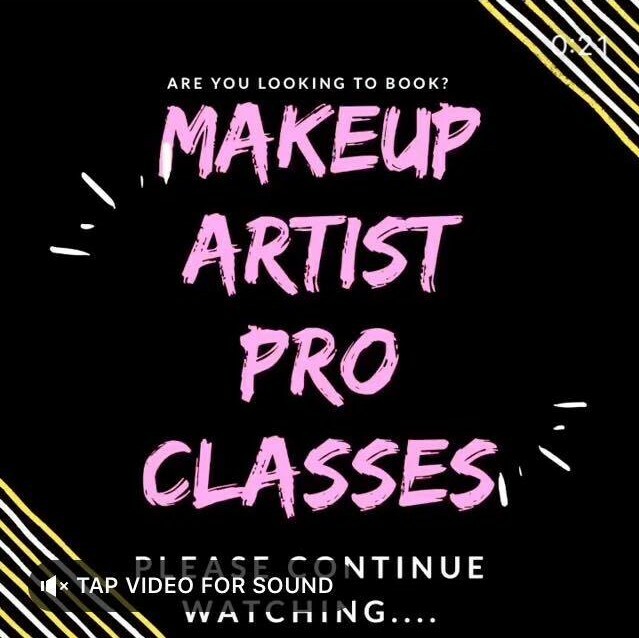 However, you will receive a certificate of completion from Sabrina Professional Makeup at The Studio if you complete the duration of the course. 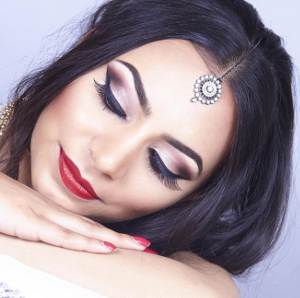 You will also receive expert knowledge from a professional and experienced makeup artist on a one to one basis. You will also be asked to read, agree to and sign a copy of terms and conditions. This will be emailed to you before starting your course and will need to be signed and email back before your course date begins. Each session is conducted in The Studio room with Sabrina. Tea, Coffee and water are provided throughout the day. Please feel free to bring along lunch if you are attending one of the full day courses. There are fridges in the building to store any food you may want to keep cool. You are welcome to take lunch in the studio room or outside the building in the gardens. All courses require a 20% deposit which are NON-refundable or transferable if you decide to cancel. Course slots can be held for up to 24 hours before a deposit will need to be taken. If the deposit is not received within 24 hours your slot will not be secure and will be opened back up for other waiting students. Sessions can be tailored to your needs as much as possible. Sabrina wants you to feel like you have learnt exactly what you felt you needed to. Please feel free to discuss with Sabrina beforehand what you are looking to learn and she can advise you on which course/courses will be best for you. You are welcome to take a particular course as many times as you wish. The possibilities are endless when it comes to makeup looks. For example if you take a “Smokey/Full Glam Evening Makeup Course” which you chose to cover a glitter smokey eye, there is no harm in choosing this course again to learn a matte cut-crease eye. Need more information? Download my PDF brochure for all of the course details.